It's the peak of summer and you’ve started seeing bobs everywhere! Bobs can be big and bouncy, fire and ice-y or loose and lovely. Bob hairstyles are low-maintenance and give you the ultimate modern look. Did you know that there are different types of bobs? It's the uniqueness of the haircut that gives it the three different styles. It is generally longer in the front and shorter at the back. You can either have spikes at the back or have layers or stacks. A-line Bob The A-line stands for the outer edge of the haircut. It has angles which are slightly longer in the front and shorter at the back. It is one of the simplest bob hairstyles. True to the name, the perimeter is simple without any layers at the back. Like any bob hairstyle, it frames the face and is slightly curved just below the chin. Asymmetrical Bob The hairstyle can go either way, that is, without layers or with many layers, in the back. 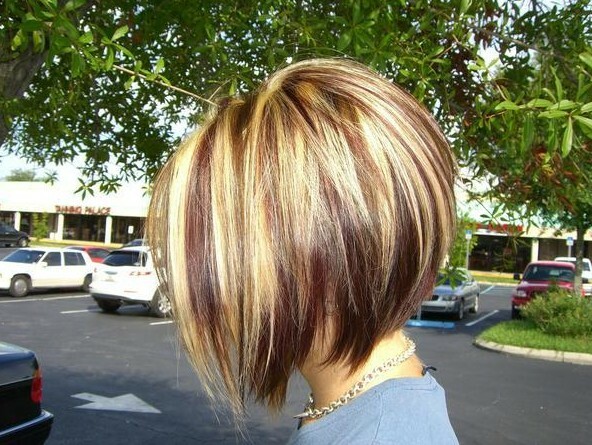 The only difference between this one and the other bobs is that it is longer on one side than the other. Not many can pull off this one. But when you do, it looks very edgy. Graduated Bob One of the most popular bobs, it is like the a-line, except it has layers at the back. The hairstyle is not angled strictly as a-line. It is short in the back and long in front, but the length of the front is not as long as the a-line Bob. The layers may vary. Some can have very low layers, as low as spikes! The inverted Bob hairstyle it is just another way of saying the Graduated Bob. Different places call it by different names.